Art Thiel has been with the Seattle Post-Intelligencer since 1980, and a columnist since 1987. 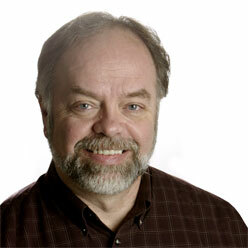 He’s also worked at the News-Tribune in Tacoma and the Bellevue Journal-American. Thiel has done radio commentary for several Seattle area radio stations; currently his commentary can be heard on Friday mornings and evenings on KPLU-FM. He’s covered numerous Olympics, Super Bowls and World Series but he’s had more fun on assignments feeding Wonder Bread to kangaroos in the Australian outback and helping dogs dig truffles in the rich loam of northern Italy. Thiel grew up in Tacoma and was graduated from Pacific Lutheran University. His first book, “Out in Left Field,” chronicled the amusingly perilous misadventures of the Seattle Mariners as they climbed from the national dumpster to a place of respectability and even contention.